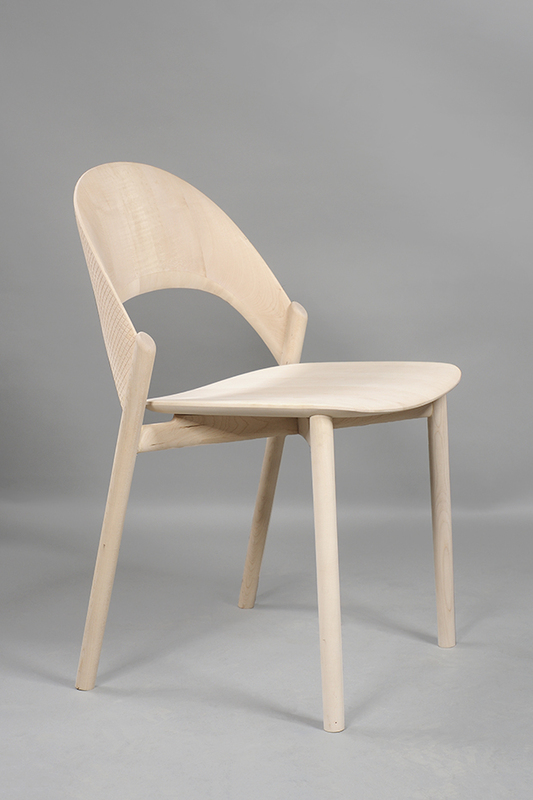 Sana is an elegant and extraordinarily light dining chair made entirely in solid wood. 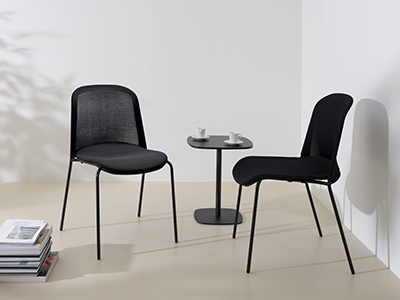 The most special feature of the chair is its finely sculpted and multidimensionally curved backrest that instills a warm hug effect and provides excellent seating comfort. 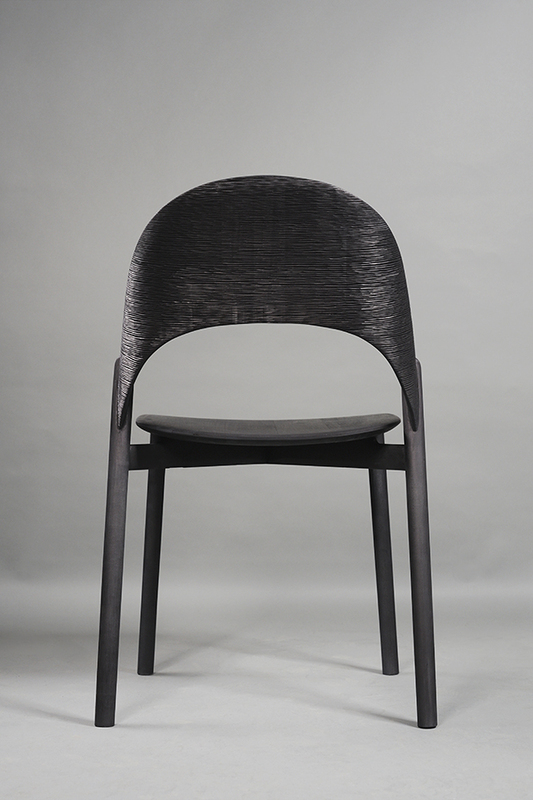 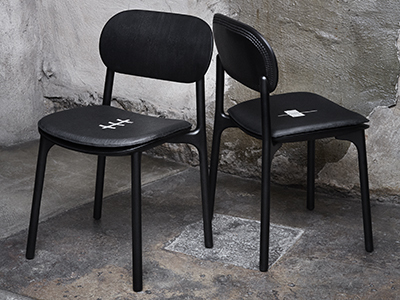 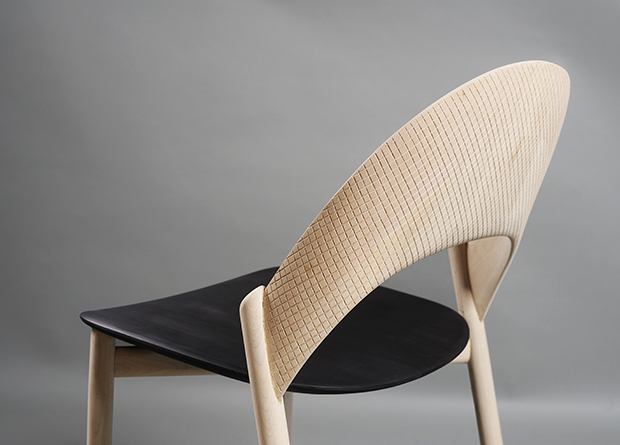 The outer side of the chair’s backrest is entirely hand-carved with carving patterns which were designed to emphasize the curved shape of the backrest and to give Sana the character of a modern handcrafted object. 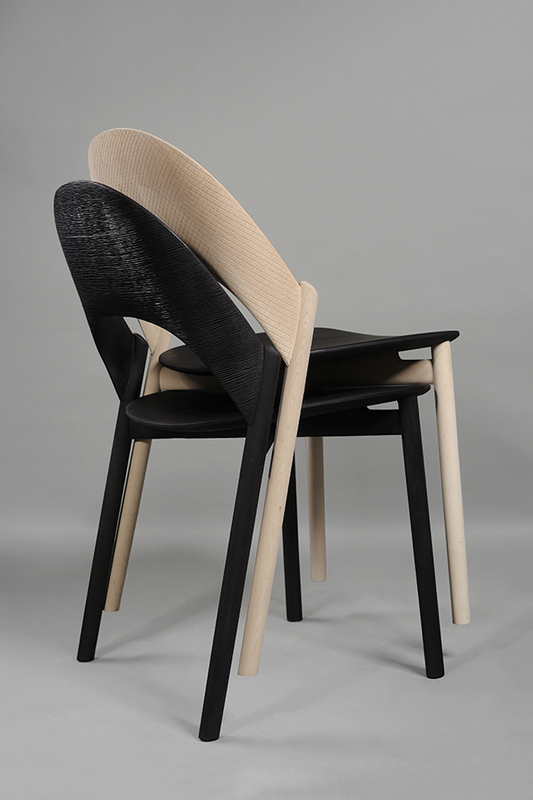 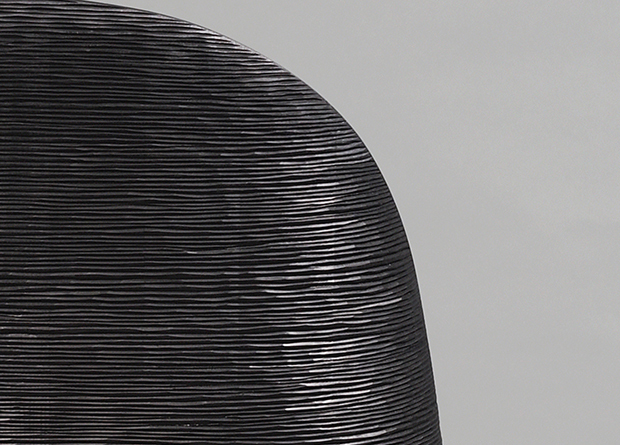 Sana is a stackable chair suitable both for residential and commercial use. 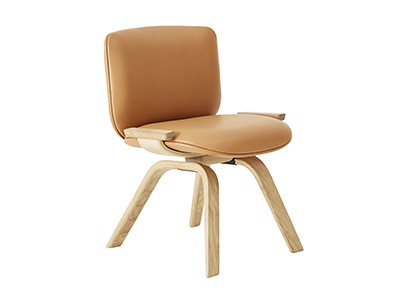 It comes in different color combinations of the frame, backrest and seat.